It is hard to imagine an insect better suited for scaring off predators than the honey bee. After all, it keeps a serious weapon right on its body. While most of the threats the honey bee faces are not technically predators at all, the beloved honey maker does have some natural enemies. Honey bees face threats posed by bee predators such as skunks, bears and hive beetles as well as the devastating effects of disease, parasites, pesticides and climate change. The most common predators faced by honey bees are skunks, bears and hive beetles. Skunks are insectivores, and when they discover a hive, they often return every night to attack the hive and eat large quantities of bees. A good indicator of skunk raids is honey bee remains outside the hive entrance, since skunks tend to chew the bees to extract their juices then spit out the solid parts. While they are less likely to predate upon honey bees, raccoons and opossum sometimes attack hives in a similar way. Bears are serious predators that do substantial damage to hives. 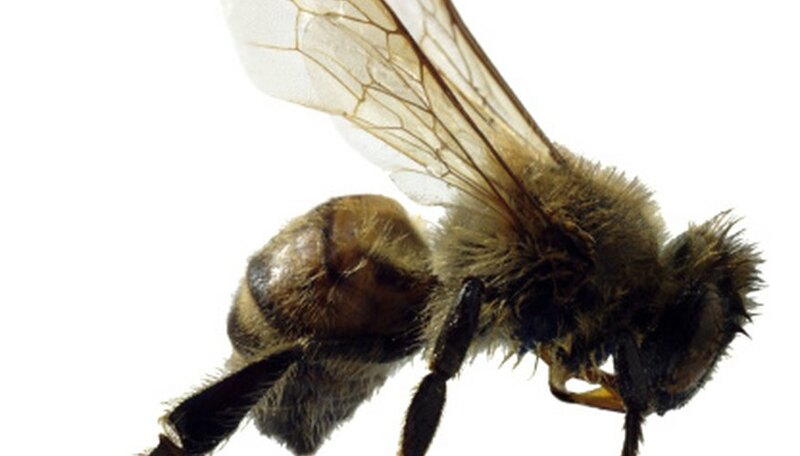 These animals may even smash the hive in order to extract the honey and bees inside. Like skunks, once bears discover a hive, they return repeatedly unless prevented from doing so by human interventions like electric fences. The other major honey bee predator is the small hive beetle (Athina tumida). This insect lays its eggs on honey bee comb so that its larvae can eat the comb, pollen and larval honey bees. Adult beetles also consume eggs laid by honey bees. While not truly predators, the threat posed by honey bee parasites is significant. These include the varroa mite (Varroa destructor) and the honey bee tracheal mite (Acarapis woodi), which both feed on the blood of larval and adult honey bees. Notable diseases that affect hives may be bacterial, fungal, protozoan or viral in origin. These include American foulbrood (AFB), European foulbrood (EFB), chalkbrood, sacbrood, bee parasitic mite syndrome (BPMS), chronic bee paralysis virus (CPV), acute bee paralysis virus (APV) and nosema disease. Of course, the most serious threats to honey bee survival are human in origin. Honey bee colonies suffer from the effects of pesticides applied to eradicate insects, because these poisons do not differentiate between insects considered pests and insects considered beneficial. Since the foraging range for honey bees spans miles, even a single application can affect many colonies. 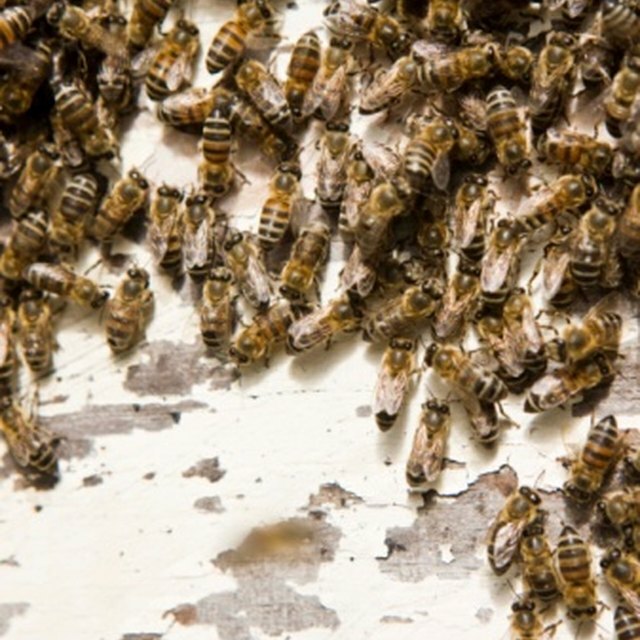 The other human-created danger for honey bees is climate change. As a result of the changing climate, spring thaw may occur sooner than expected and undermine the opportunity for honey bees to pollinate. Scientists worry about the consequences of this phenomenon for honey bee populations as well as plants that rely on pollination by honey bees. Mayer, Melissa. "What Are Some Predators of the Honeybee?" Sciencing, https://sciencing.com/predators-honeybee-8151103.html. 08 August 2018.